An instrumental album by Dennis Elliott. Fiddlers Dream is a collection of 17 instrumental tunes mostly from the Bluegrass and Old-Time repertoire. Being from Louisiana, I also included the tune Jolie Blon, so you can count Cajun Music in there as well! 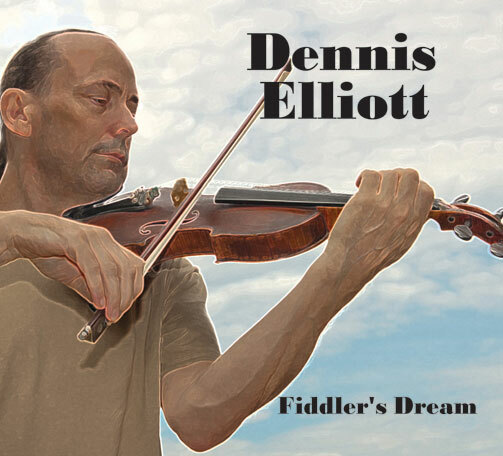 Those who know my playing style well will hear many other stylistic musical influences in my solos that are way beyond the 3 styles mentioned above  yet Fiddlers Dream is first and foremost a Fiddle-Tune album. I play all Fiddle, Mandolin, Banjo & Guitar parts on the album, and Brian Sulser plays the Bass Fiddle parts! There are several originals included on the album, including New South Breakdown, Marynells Waltz & Rhapsody in Gm. Purchase "Fiddler's Dream" from this website and you will receive an autographed copy! Internet Explorer users can click the buttons. Fiddler's Dream can be purchased directly from this website using PayPal!